Olafur Eliasson, the Danish-Icelandic artist who created the weather project at Tate Modern in 2003, brings a new project to Tate Modern this summer. 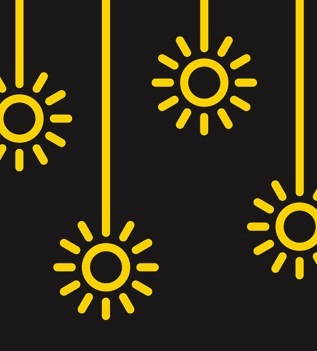 Developed over the last two years, ‘Little Sun’ is a work of art that brings solar-powered light to off-grid areas of the world. Olafur Eliasson: Little Sun will feature a space on the third floor of the gallery, where visitors can learn about solar power, the global energy challenge, light and its importance in and for life. It will also include a special set-up for people to create light graffiti using the ‘Little Sun’ and offer the opportunity to buy a lamp for £16.50.